To effectively ‘wet out’ a surface, the surface energy of the adhesive must be lower than or as low as the surface energy of the substrate to be bonded. The surface energy of the substrate can be raised by abrading the surface to increase surface area. After abrasion the surface should be cleaned with a non-residual solvent such as NovaBond Surface Cleaner to remove excess removed deposits and improve adhesion. However in some instances, due to required surface aesthetics, abrasion may not be possible and in that case specialist adhesive systems such as NovaBond LSE80 has been formulated with a high initial and ultimate adhesion to low surface energy substrates that wets out and provides superior adhesion to irregular substrates. 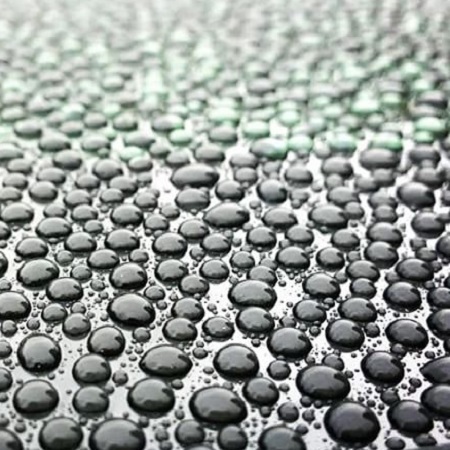 Wetting can be measured by the contact angle of a bead of liquid on the surface (see above). The lower the contact angle Fig 1, conversely, as contact angle increases (Figs2-3), the wetting out becomes less until they bead up comparative to raindrops on a waxed car bonnet.